4-Word Review: Trapped in the artic. In 1896 three whalers inadvertently become lost from the rest of their crew and stranded all alone on an artic island. 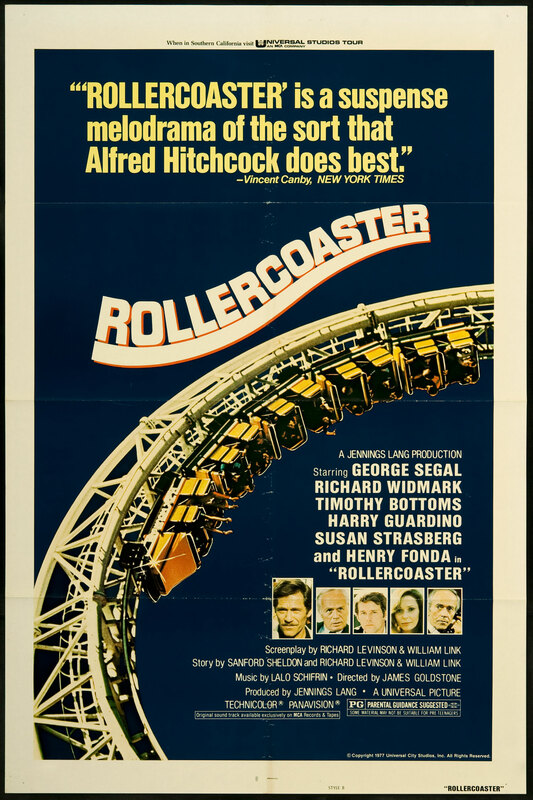 There is Billy (Warren Oates) who is the impulsive and belligerent one of the bunch and Daggett (Timothy Bottoms) who is more quiet and introspective as well as Portagee (Louis Gossett Jr.). After wandering in the snow and cold for many days they finally come upon an Eskimo tribe who takes them in with food and shelter. The men though never seem to fully appreciate what the Eskimos have done for them while at times even exploiting their kindness, which eventually leads to tensions from both sides. 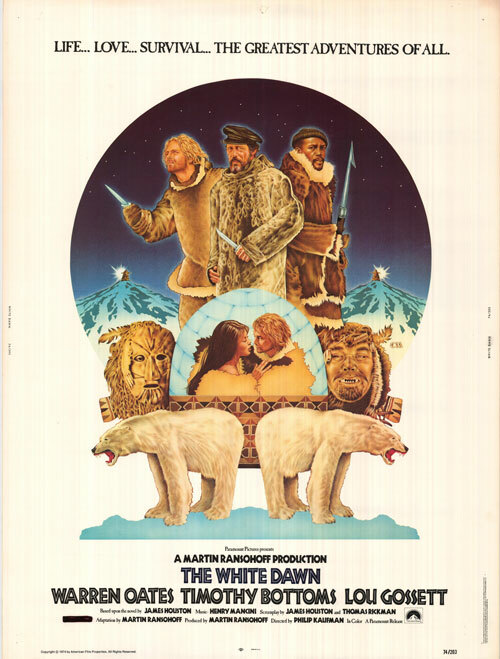 Filmed on-location on Baffin Island in northern Canada it is based on the novel ‘The White Dawn: An Eskimo Saga’ by James Houston who also wrote the screenplay. He lived with the Inuit people during the 50’s and 60 and helped spread their art and culture to the rest of the world. The film though doesn’t seem all that revealing. Much of what happens is rather predictable and with scenes that tend to ramble. There are also other moments that are a bit bizarre like the scene during a celebration where two girls take off their shirts and then lock lips and proceed to blow air into each other’s mouths at an accelerated rate that might’ve been more interesting had it been explained what exactly they were doing and why. The characters are dull and transparent in Oates’ case genuinely unlikable. The Eskimos lack any individual distinction and most viewers will fail to find themselves emotionally attached to anyone onscreen. The film probably would’ve worked better had it been a smaller tribe and just one person that they had rescued. There are also a lot of scenes featuring animal deaths and cruelty that may upset some viewers. On the one hand I liked that it kept things real and hunting is certainly a part of their culture especially at that time, but some of it does get graphic. One scene has the group grabbing a goose from different ends and then literally pulling it apart while later on they slaughter some walruses that are peacefully bathing in the sun. The film’s dark ending is interesting and the time the three attempt to escape from the tribe by stealing one of their boats is also intriguing, but otherwise I was aloof with it most of the way. I admire the attempt of bringing the Eskimo culture to a wider audience and the film really isn’t a bad movie, but it’s not a particularly gripping either. 4-Word Review: Introverts fall in love. Walter (Timothy Bottoms) is a shy young man in his early 20’s riding through Spain as part of a cycling tour group. Impulsively he ditches this group and joins a bus touring one of which Lila (Maggie Smith) an equally shy woman in her 30’s is a part of. At first the two hardly speak, but eventually they get past their social quirks to form a tight, romantic bond. The awkwardness and insecurities of the two characters is wonderfully captured and it is nice to see a film examine a romance between people that are not physically beautiful or affluent. The music score is subtle and Alan J. Pakula’s direction approaches the material in a nicely sensitive fashion along with the Spanish scenery that gives the production an exotic feel. Smith is excellent as usual. Her performance and character is different from anything else that she has done making it a real treat to watch. The scene where she calls home to her family as well as the one where she gets locked inside a remote outhouse is quite amusing. I would have liked to have seen a little more interaction with the other people on the bus as the supporting cast is almost non-existent and focuses too much on the two main characters making it seem like there are the only ones in the entire country of Spain, which gives the viewer a very isolated type of feeling. This may have been the intention and done as a way to show what it is like being introverted, but I didn’t care for it. Although the two characters are offbeat the film follows too much of a romantic blueprint that eventually makes it formulaic despite a good start. Its biggest transgression is having one of the characters like in Love Story get afflicted with some mysterious illness that is never explained and put in to create cheap dramatic turmoil. Overall though the film is okay and has a few touching moments. Those that enjoy romance may like it a bit better as well as fans of Maggie Smith.